Thanks for your prayers for Gloria Viveros. 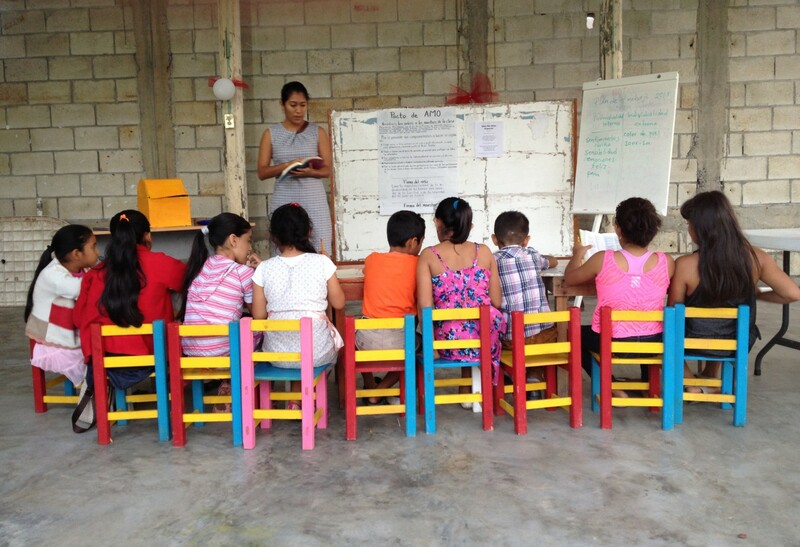 Gloria trained a wonderful group of parents and leaders in Mérida, Yucatán, earlier this month and expects at least three new children’s programs will result in local churches. She is now off to Guadalajara! She needs your continued prayers for another training starting there this coming week. We ask your prayers for Chiapas. We are here sharing about AMO Program for the first time. Pray for vision among the leaders here for the long-term commitment that it takes to implement education that transforms hearts and minds. Continue to pray for the group being trained to be AMO Trainers. The struggle of keeping up with classwork along with life’s many other obligations is difficult. Pray for clarity and wisdom from God in their coursework. Please, pray for the upcoming biblical worldview vision conference in Mexico City this August 7-11. 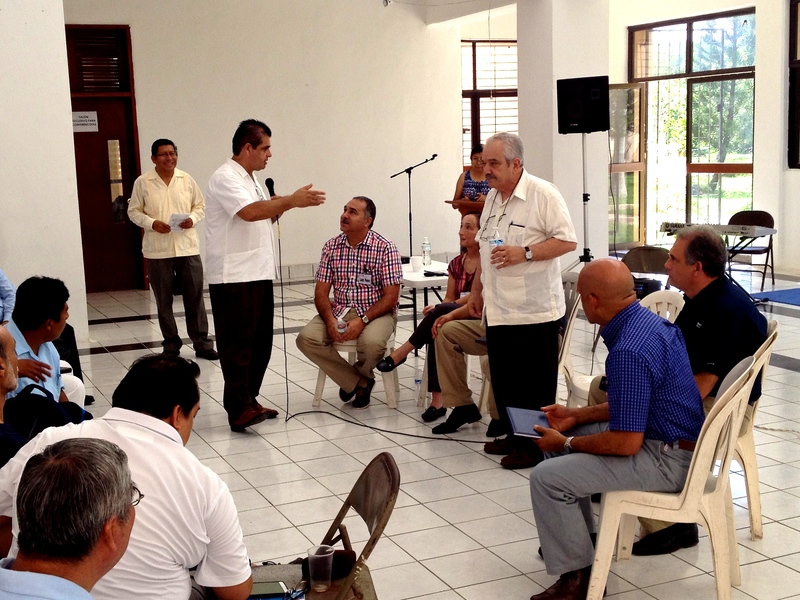 Pray for the group of Mexican leaders who have organized the event, along with Disciple Nations Alliance, and will be doing much of the teaching. This is an important step in the spreading of God’s vision for life throughout Mexico. MeXED 2016 panel discussion at San Pablo Seminary, Mérida, Yucatán. We invite you to join us at MeXED. We will gather in Oaxaca, September 19, 20, 21. We ask for your prayers for this important gathering of a variety of educators and supporters from Mexico and the United States. Pray for God’s vision of biblical Christian education and discipleship, for all ages, in Mexico to be clearly communicated and received. Please, call (830) 719-5812 for more information. Thank you, for your prayers and we hope to see you in Oaxaca!